Because of what I do, I see a lot of financial news from many, many sources. I keep Bloomberg TV on in the background in my office most of the day. The websites I visit most often are either sports or financial sites. Even my social media feeds are filled with reports about the economy or market as many of my connections are in the finance industry in one form or another. 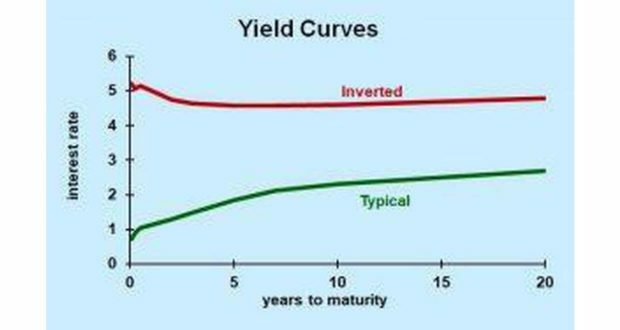 As a result of the above statements, I have heard or read the words “yield curve inversion” no less than a hundred times over the past five days. The reason for that is that the yield on 3-month Treasury bills moved above the yield on the 10-year Treasury note last Thursday. So yes we did have a yield curve inversion on one segment of the treasury spectrum. I am taking this “inversion” with a grain of salt. I had never heard of anyone tracking this particular spread until last Thursday and now all of a sudden everyone is saying we have a yield curve inversion. As an economics student in the 90s, I was taught that the spread that everyone watched as a recession indicator was the 2-year note compared to the 10-year note and those two treasuries haven’t inverted yet. I’m not questioning the findings, nor am I saying we won’t see a recession in the next few years. I am simply saying that until last Thursday, I had never heard of this particular spread being watched closely. Yes, technically we have a yield curve inversion, but it has only been for a few days so far. In 2006, the 2-year yield moved above the 10-year in January and then the spread flipped again. It inverted again briefly in March and then again in June ’06. After the inversion in June, the spread stayed inverted for the better part of the next year. To me, that is the kind of situation that I worry about as a recession indicator, not one where it happens for a few days. Another issue I have with the amount of attention being paid to the 3-month yielding more than the 10-year is the timing issue. As we see in the chart above, the first inversion was in January ’06 and then the longer period of inverted yields took place from June ’06 through March ’07. The U.S. economy didn’t slip into a recession until the first quarter of 2008. Don’t get me wrong, I am not saying it is different this time around. I have also heard those words uttered numerous times over the last few days. There was an entire panel on Bloomberg giving their reasons for why it is different this time around. I heard those same comments back in 2006 and they didn’t hold water then either. My point is this—yes, one portion of the treasury yield spectrum did invert last week. But it isn’t the one I have been watching for almost 30 years now. Could the 2-10 spread invert in the coming weeks or months? Sure, but even if it does, I won’t panic and sell all of my stock holdings. The historical timing of when a recession begins after the yield curve inverts is anywhere between nine months and two years. There is plenty of time to make adjustments to your portfolio. I don’t believe it is different this time around. I have heard those types of comments too many times in the past and yet it never seems to be different. Regardless of how much attention the inversion is getting (they just mentioned it again on Bloomberg), it isn’t a recession trigger, it is a recession predictor. It has been an accurate prediction tool, but it hasn’t been a great timing tool. You should pay attention to an inverted yield curve, but you don’t want to panic. It seems like we saw some of that last Friday when the market saw its worst day so far in 2019. If the 2-10 spread does invert and remains inverted for a few weeks, yes you should take note of that. You should probably look for opportunities to take profits on stocks over the coming months. Take the profits and move them into something safer like treasuries or a treasury ETF. Don’t try to convince yourself that it is different this time around. It could end up being different this time around, but I doubt it. I would rather prepare for a recession and a bear market and then have it not happen than not prepare and then have it happen.